Nothing wreaks a nation like broken infrastructure, particularly dilapidated roads and rundown airports. Most observers have noted that Nigeria has not been able to reap commensurate returns on its huge population and tourism potential due to neglect of critical infrastructure. To underscore the central place of infrastructure in tourism development, it has been found that service delivery and personnel quality ranks secondary to what potential tourists consider when choosing a destination. It must be against the background of the foregoing that the Chairman, Senate Committee on Privatisation, Senator Ben Murray-Bruce, charged the Federal Government to bring a renewed commitment and attention into the tourism sector by addressing the infrastructural challenges and other bottlenecks facing the sector. He also re-echoed this view at the 2018 Tourism and Hospitality Forum with the theme ‘Domestic Tourism as a Catalyst for the Growth of Nigeria’s Economy’. The forum was organised by the Institute of Directors (Nigeria), and the senator said that the cost of fixing the infrastructure was cheap, but noted that government should decide what it wanted. In addition, the Chairman, IoD Tourism and Hospitality Committee, Biodun Jaji, said government and tourism stakeholders should pursue the sustainability and the growth of the sector. “There is a need for sustained public-private partnership and investment for the development of domestic tourism in the country over the next 10 to 20 years,” he said. 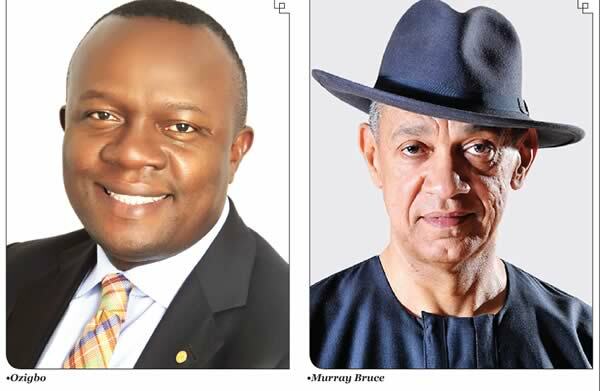 The comments from Murray-Bruce and Jaji emerged amidst the campaign being led in the country by the Managing Director, Transcorp Hotels, Valentine Ozigbo, on the need to encourage marketing destinations. Ozigbo’s campaign is centred on the consideration that practitioners would keep playing a role in encouraging marketing destinations, but with the full responsibility strictly reserved for the government. According to him, the country has not fully tapped into the potential of the tourism sector and that according to statistics; the sector is one of the greatest employers of labour in the world. He opined that government should make tourism a ministry of its own and create the enabling environment for businesses to strive and survive. The Transcorp Hotel managing director commended the Federal Government for creating the visa-on-arrival initiative, saying that this had made it possible for foreign businessmen and women to fly into the country with ease. “In the past, if a United States citizen wanted to visit Nigeria from the US, he or she had to travel to Atlanta or Washington DC where the country has a consulate to get a visa and in some cases, it could take three, four or five weeks to get a visa. This in itself is a major discouraging thing for world travel,” Ozigbo said. He said, “Government needs to consider tourism as an important ministry. There should be policies put in place to drive the development of the sector. He also said, “Visa-on-arrival is an initiative of the Federal Government to make it possible for foreign businessmen and women to be able to fly into Nigeria with ease. Murray-Bruce also urged the government to stop paying lip service to the issue of infrastructural challenges, noting that it should rather educate people through the National Orientation Agency that tourists visiting the country should be allowed to take pictures. “There is also the need to build good hotels with comfortable services in the tourism destinations across the country,” the senator said. He said that if government failed to address the fundamental problems facing the country, the sector would not thrive. He, therefore, called for amicable resolution of the security problems facing the country. “This is a national problem. We cannot also promote tourism without good public toilet system, and good hotels,” he added. However, in what seems like a bright future for domestic tourism in Nigeria, the sector is expected to contribute N3.63bn to the country’s GDP by the end of 2018. The Managing Director of Jumia Travel Nigeria, Omolara Adagundo, told our correspondent that the number of international arrivals in the country and jobs generated by the sector were expected to grow by 1.5 per cent and 3.4 per cent, respectively by the end of year, which is 1.8 million international arrivals and 3.4 million jobs. A report she made available provided insights into the two main components of domestic travel: leisure and business travel, and both grew at 2.7 per cent and 2.8 per cent, which is 1.98 billion and 1.92 billion contribution, respectively, to the domestic earnings in 2017. The Nigeria Hospitality Report from the stable of Jumia Travel is fast becoming a primary source of data for experts and stakeholders in the travel industry as it offers a profound and holistic insight into the industry that accounts for 1.9 per cent of the total GDP as a direct contribution, and 5.1 per cent as a total contribution to GDP. as a direct contribution, and N6.2bn as a total contribution to the GDP.